China will cut RMB 200 billion (US$29.43 billion) worth of taxes for small and micro firms, as the government seeks to stabilize the economy and stave off unemployment amidst a protracted trade war with the US. The tax cuts, which were initially announced by China’s State Council on January 9, expand the scope of preferential policies to apply to more firms and offer targeted support for high-tech investments. They apply to taxes paid from January 1, 2019 and will be in place for three years. 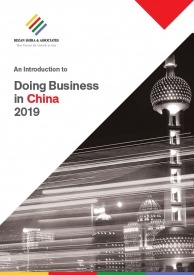 The cuts will primarily benefit small and micro firms – such as family-owned businesses – earning limited revenue, which constitute the majority of private businesses in China. According to the Notice on Implementing the Policy of Inclusive Tax Relief for Small and Micro Enterprises, released by the Ministry of Finance on January 17, China will expand existing preferential policies for small and low-profit enterprises to apply to a wider range of companies. 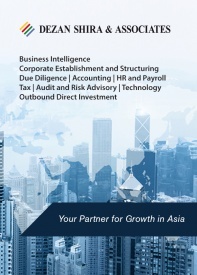 Previously, companies with annual taxable income below RMB 1 million (US$147,290) per year could benefit from a preferential corporate income tax (CIT) rate of 20 percent on 50 percent of their income, with the other 50 percent would be tax-free. Now, such companies can enjoy the same preferential CIT rate of 20 percent but will only be taxed on 25 percent of their income, with the remaining 75 percent tax-free. Further, companies with taxable income from RMB 1 to 3 million (US$147,290 to 441,870) can now enjoy the preferential 20 percent CIT rate on 50 percent of their income, with the other 50 percent tax-free. According to the government, the preferential CIT rates will apply to 95 percent of corporate taxpayers and lower the total tax burden for qualified enterprises by five to 10 percent. In addition to expanded CIT incentives, the tax cuts offer value-added tax (VAT) exemptions for small-scale VAT taxpayers. 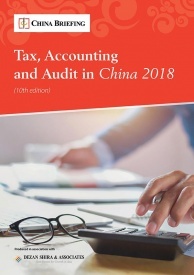 Per the Notice on the Collection and Management of Small-scale Taxpayer Exemption from VAT Policy, released by the State Administration of Taxation on January 19, small-scale VAT taxpayers with monthly sales under RMB 100,000 (US$14,715) are exempt from paying VAT on a number of items, up from RMB 30,000 (US$4,415) previously. Among the incentives, small-scale taxpayers with monthly sales under RMB 100,000 and quarterly sales under RMB 300,000 (US$44,145) do not need to pay VAT on such sales. 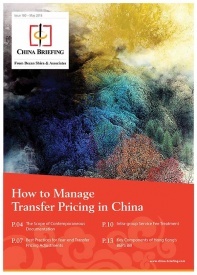 Further, general VAT taxpayers with less than RMB 5 million (US$734,500) in sales over the last 12 months or four quarters can opt to transfer to small-scale VAT taxpayer status by December 31, 2019. As well, regional governments are permitted to cut local tax items for small-scale taxpayers by up to 50 percent, and authorities will expand tax breaks for venture capital firms and angel investors that invest in high-tech startups. The cuts are just the latest in a series of measures to cut costs for businesses, as the Chinese government looks to maintain employment and boost consumption as the economy slows. According to recently released government statistics, China’s GDP growth clocked in at 6.6 percent in 2018, hitting the official growth target of “around 6.5 percent” but the lowest rate since 1990. However, several regional economies such as Guangzhou and Shenzhen failed to reach their growth targets, and structural changes in the economy, an ongoing financial derisking campaign, and the impacts of US-China tariffs have created further uncertainty about the health of the Chinese economy. Nevertheless, Chinese authorities have signaled that large-scale stimulus to the economy is not currently in the cards. Instead, the Chinese government is adopting a targeted approach of tax cuts and incentives to alleviate financial pressure on China-based companies. Broader tax cuts will likely be announced at the annual Two Sessions meetings in March, where China’s leadership announces its agenda for the year. Last year, Chinese Premier Li Keqiang announced that China would cut up to RMB 800 billion (US$126 billion) in taxes in 2018. With the Chinese economy under strain, however, it is possible that new tax cuts will be announced and implemented before then, as the Chinese government seeks to maintain stability and stave off unemployment.